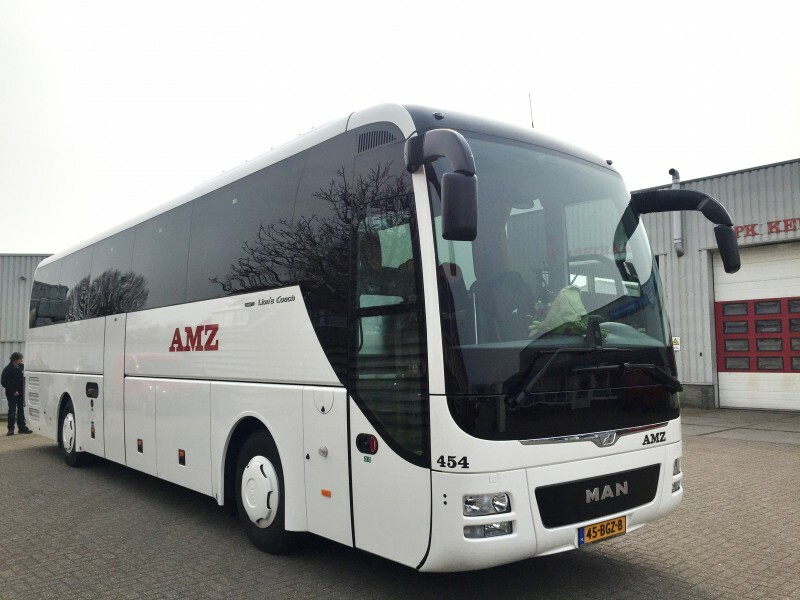 ﻿ 50-62 Seater Coach - AMZ Borssele - Uw reis verzorgd van A tot Z! 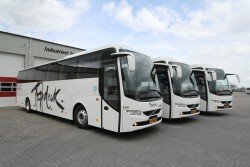 For incoming tourism we employ state-of-the-art Volvo and MAN motor coaches. 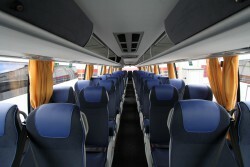 Both offer your passengers every comfort in a quiet and calm environment. With air-conditioning and double- glazed windows, a pleasant climate is ensured. 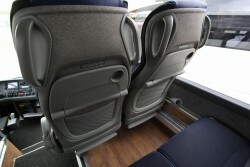 Adjustable footrests, reading lamps and ventilation controls further enhance a sense of wellbeing throughout the journey. A versatile entertainment system, toilet and kitchen facilities complete the package. We embrace new technology with regard to safety. In the same way as the official motor dealers we are able to diagnose a vehicle by interfacing with its on-board management system. This provides increased insight into the diverse systems present in a modern motor coach. Among these are the automatic gearbox and several advanced braking systems. We also fully understand that most modern passengers have adopted a digital lifestyle and that they enjoy services like WiFi and USB charge points in the coach. All in all, we provide motor coaches that will easily meet your customers’ expectations for comfortable and safe travel on the roads of Europe.